Today I want to share with you some free Mother’s Day SVG files. That holiday always tends to sneak up on my so I want to be prepared this year. You have several months to decide what you want to create with one of the designs below. 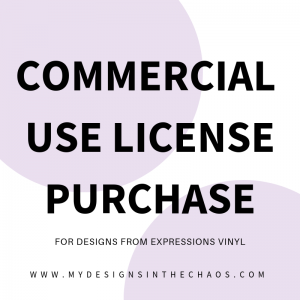 As a reminder we don’t mind if you use our files for personal or commercial use on a finished product up to 200 uses. 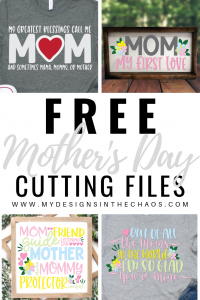 Please do not re-sell or re-distribute the files themselves, but feel free to direct others to this post so they can access the free Mother’s Day files too! This one made me laugh. Am I the only one who goes by Mom, Mommy, Mama, or hey you? LOL! Ok not really but they will say anything to get my attention so this design summed that up nicely. What do your kids call you? This design is just so sweet. I can envision it going on a sign like pictured below or even on a cute little bodysuit for a baby celebrating their first Mother’s Day with their mama. It would look so cute in pictures! I absolutely love the look of subway art. It looks so good on a farmhouse frame (learn how to make one of your own in this post here) Our favorite stencil to use is this Oramask. It always leaves clean crisp lines… just make sure that you sand your board really well first in order to allow for it to stick. You also want to make sure you have a high quality transfer tape that will release the Oramask without damaging your board and design. Check out all the ins and outs of transfer tape here. I know if my kids gave this to me I would be beaming from ear to ear. I show it off below on a shirt but it would also look great on a mug or water bottle. Check out all of our favorite crafting blanks here. We would greatly appreciate it if you took a moment and pinned one of the images above before downloading your freebies. That helps us continue to provide quality goodies for you. Please note that for security and size restrictions these are zip files. If you are downloading these items on your phone or tablet check out this quick video where we show you step by step the process in order to not get an error message. Check out more Mother’s Day files here. Thanks so much for stopping by and I can’t wait to see what types of Mother’s Day items you make! ‘Til next time, happy crafting, cutting, and chaos!